When a new startup ecosystem is being created, the opportunities are endless. 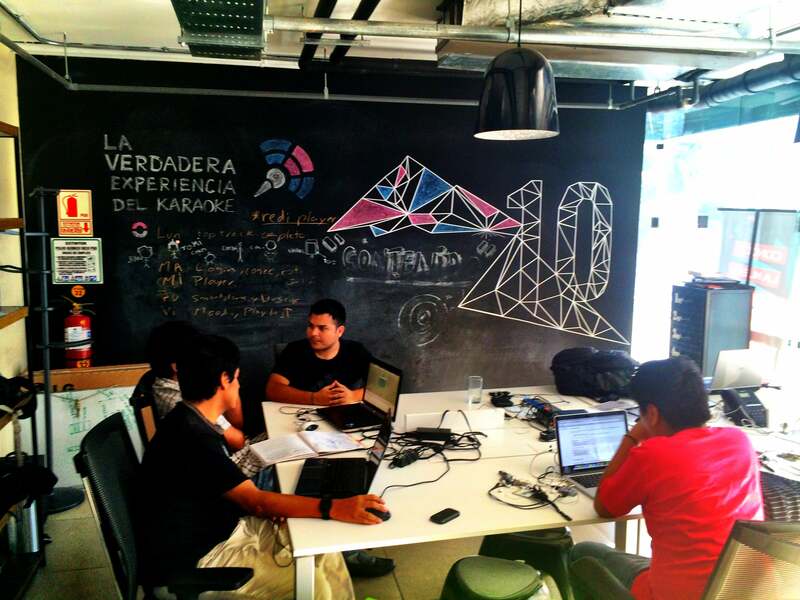 Peru is developing a public support mechanism for startups, which includes Wayra Peru. The accelerator has played a key role in creating a positive impact in the local startup scene. According to Luis Alberto Lira, Wayra’s business analyst, Wayra Peru had over 1,217 applicants in the first year alone. This is the third year of their program in Peru. Wayra has been responsible for turning startups like Cinepapaya and PlazaPoints into successful stories and is one of the first organizations to help catalyze support for local entrepreneurs. Peru has seen an increase of initiatives to make seed funding and mentorship accessible to local startups, such as Startup-Peru, Lima Valley, and Startup Academy. The country is enjoying a virtuous circle of economic growth. According to The Economist, Peru has had eight years of growth averaging 7% a year – faster than anywhere else in Latin America except (much smaller) Panama. From guano in the 19th century to copper and gold today, Peru has long been known as a commodity exporter. With more investments coming into the country, more funds are being invested in various sectors within. “[There are] funds to finance research, prototyping, trial and error – and with the resilience to failure, plus the inspiration of a few success stories, more entrepreneurs in the ecosystem are eager to venture and share their passion with the market,” says Gary Urteaga, cofounder of Cinepapaya. Startups need appropriate forms of finance for each stage of their development, and Peru continues to develop a public support mechanism for startups. As briefly mentioned above, Wayra has generated considerable stimulus in the country in supporting young entrepreneurs as part of its open innovation strategy. For example, the government announced a budget of $20 million for the Startup Peru Program. The program is part of the Ministry of Production in collaboration with the Inter-American Development Bank awarded by their Science and Technology Program (FINCyT) aimed at supporting high-impact entrepreneurs to venture and execute their tech-based innovative ideas. Start-Up Peru is looking to the success of both Start-Up Chile and Start-Up Brazil, where entrepreneurs and incubators receive funding to foster the startup ecosystem. 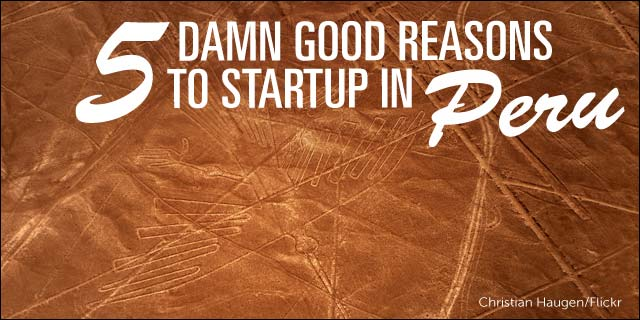 “…what really excited us at 500 Startups was that they are targeting the Andean market. Chile, Colombia, and Peru combined have 100 million people and through last year’s integration initiative, these countries are listed together on stock exchange Mercado Integrado Latino Americano [MILA], becoming the second largest regional stock exchange,” said Yang. Lima offers entrepreneurs a great lifestyle with a low cost of living. According to comparative statistics, rent in Lima is 76% lower than in San Francisco. A meal at a mid-range restaurant is 55% lower than in San Francisco. Lima has become a gastronomic mecca. There is nothing like it. For those who haven’t experienced Peru’s cuisine, I strongly suggest you find the nearest Peruvian restaurant. You will thank me later.